Readers’ Favorite was founded by Debra Gaynor to provide readers and authors with a resource for free quality reviews and to offer authors the opportunity to obtain more recognition and exposure through a respected annual book award contest. Debra’s love for reading started as a child and led her to become a librarian for a local college and public school system. She then spent several years as a reading coach for children and quickly realized what a dramatic difference the right book made. A good book not only educated children, but made them want to pick up another. This applies to adults as well. The more good books we read, the more good books we want to read. In 2002 Debra started reviewing for online companies to help authors with meaningful reviews and to help readers pick books that would foster their love of reading. In 2005 she began reviewing full time and started her own online review company, which was later transformed into Readers’ Favorite; a comprehensive and easy-to-use hub for authors and readers. Over the years she has earned the respect of such industry giants as Random House, Penguin, and Harper Collins, as well as the gratitude of thousands of authors. 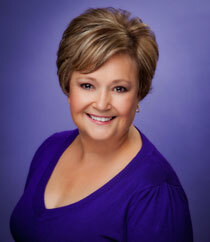 She has also been a judge for several book award contests and has a weekly book review column in her local newspaper.